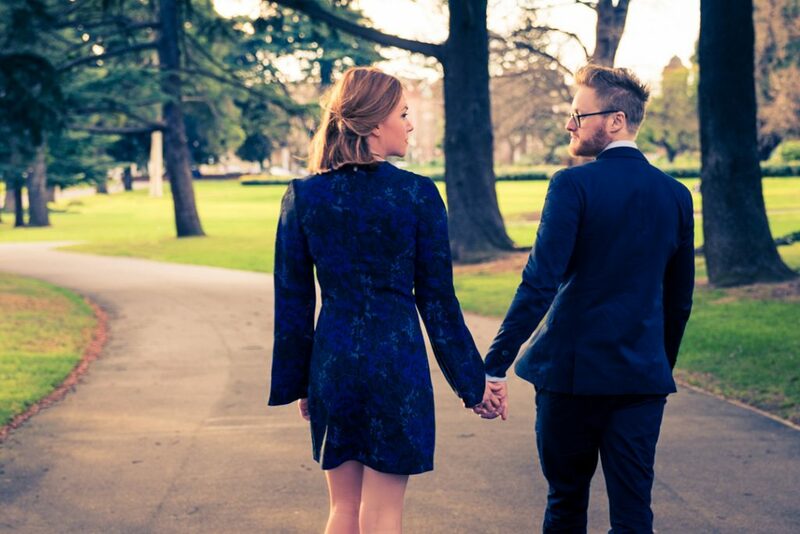 Follow New Zealand couple Anoushka and Sam as they spend a day in Melbourne’s CBD taking their engagement photos with Black Avenue Productions. 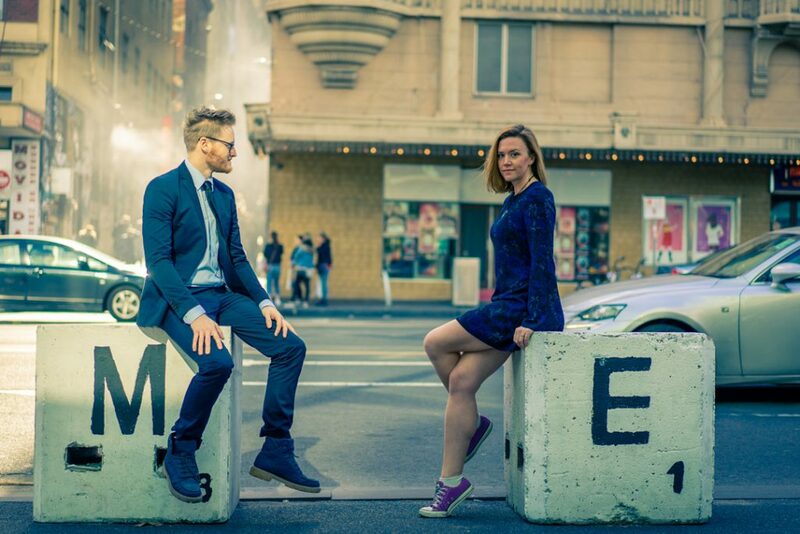 Anoushka and Sam moved to Melbourne in 2016 and now work in the Southbank arts precinct. 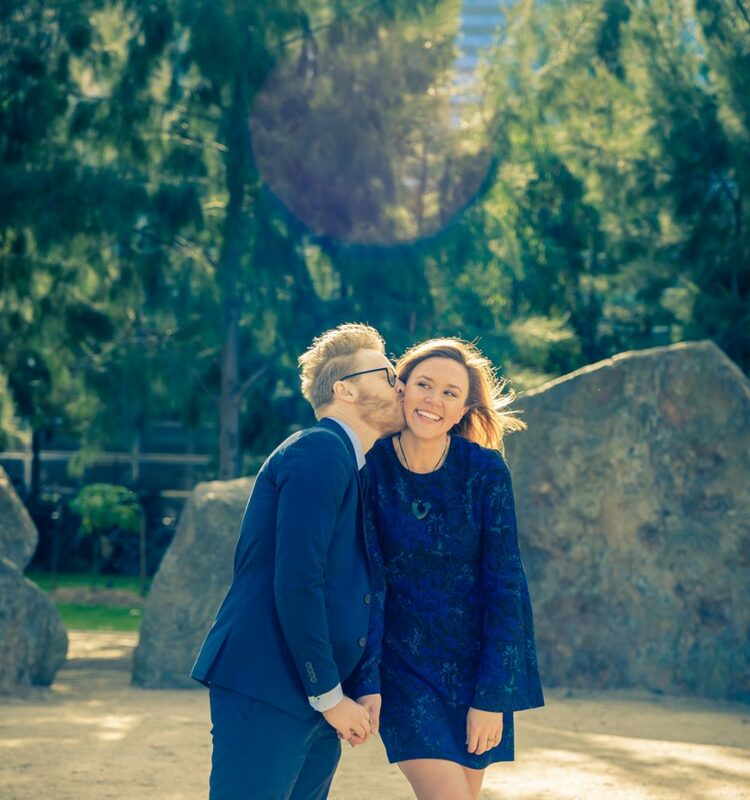 Originally from New Zealand, Anoushka wanted to stay true to her love for blue by choosing a one piece blue dress for her engagement photoshoot. 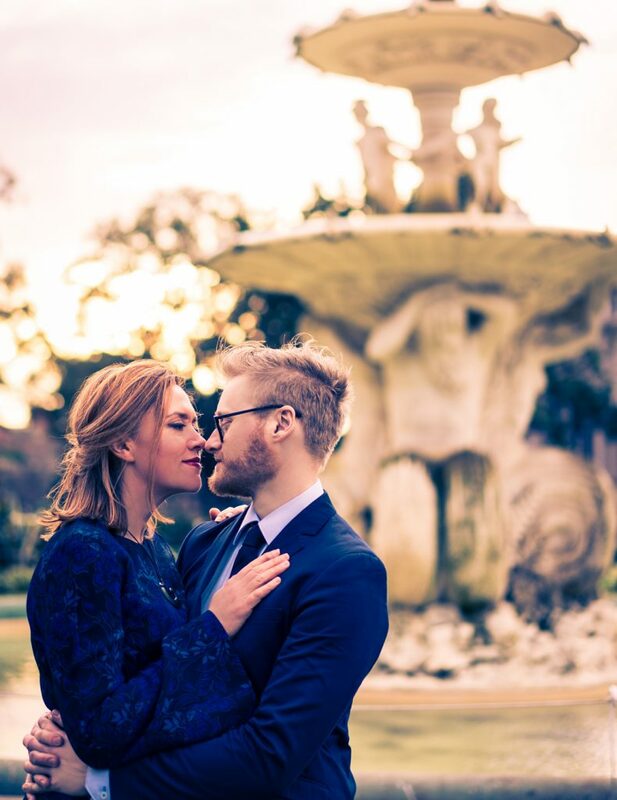 Matching her fiancé blue eyes and dark blue suit, together this artistic couple created a theme titled Something Blue. 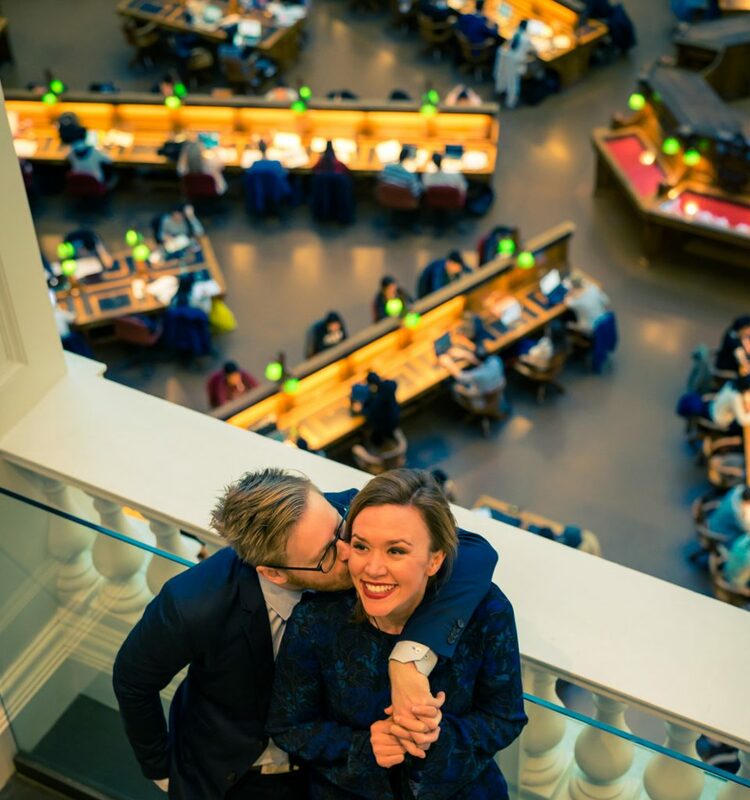 We met the lovely couple at ACMI where Anoushka works. 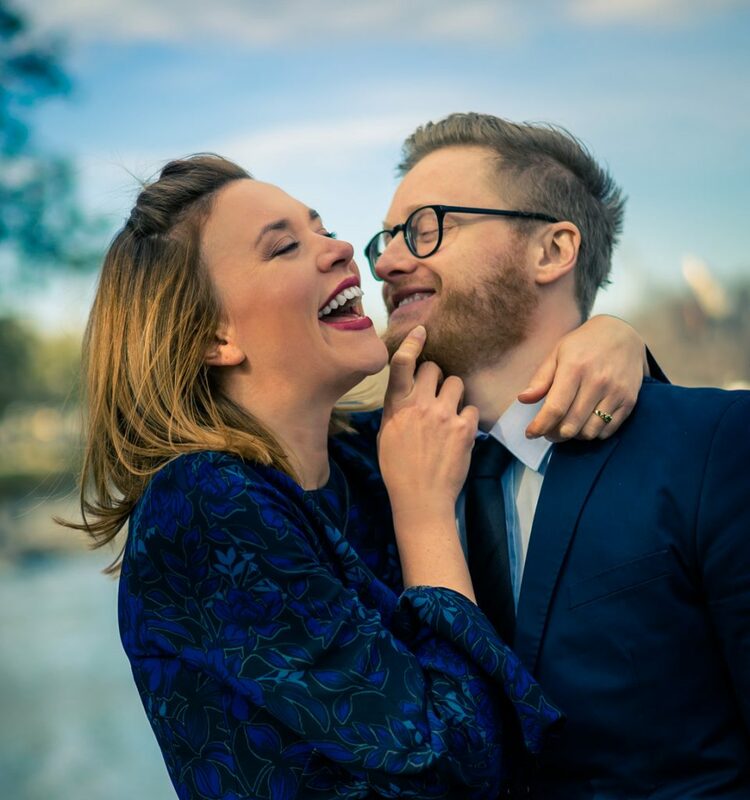 These two love birds wouldn’t stop hugging each other so our chief photographer Derek started to take candid shots while we walked towards Hosier Lane. 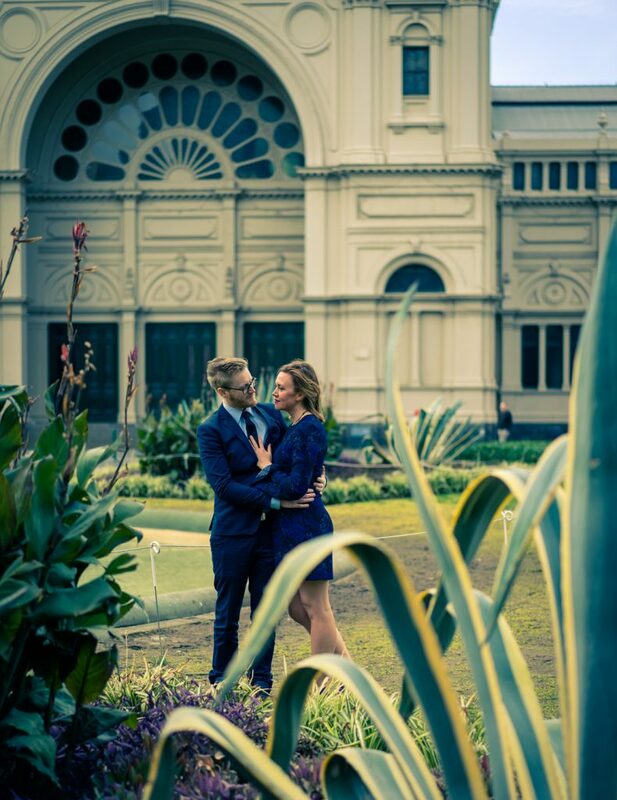 The couple wanted to showcase the beauty and history of Melbourne by having their photos taken in locations such as The Regent Theatre, Melbourne Town Hall and Collin Street Baptist Church. After a quick coffee break we continued to walk along through the city to pay a visit to the State Library on Swanston Street. There was relaxed and cozy feel inside the library, we felt like we were all in a Harry Potter movie, mysterious yet magical. 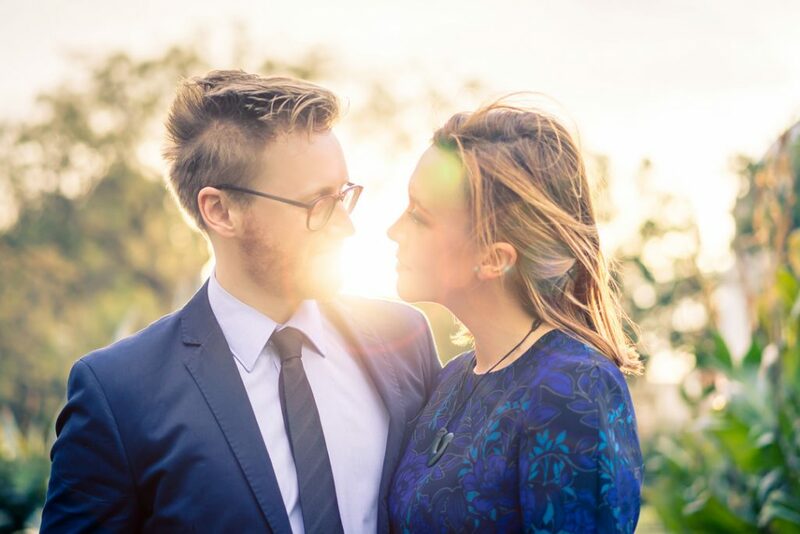 We wraped up the photo session at the Carlton Gardens during golden sunset hour. All in all, it was a beautiful day’s work with a beautiful couple so in love and ready to start a long future together. 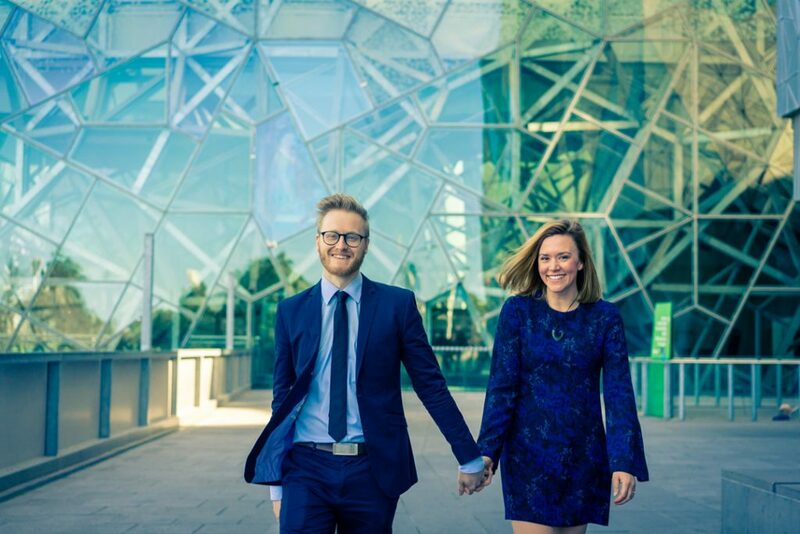 Best wishes to Anoushka and Sam, Black Avenue Productions hopes you have a wonderful wedding back in New Zealand this Christmas. 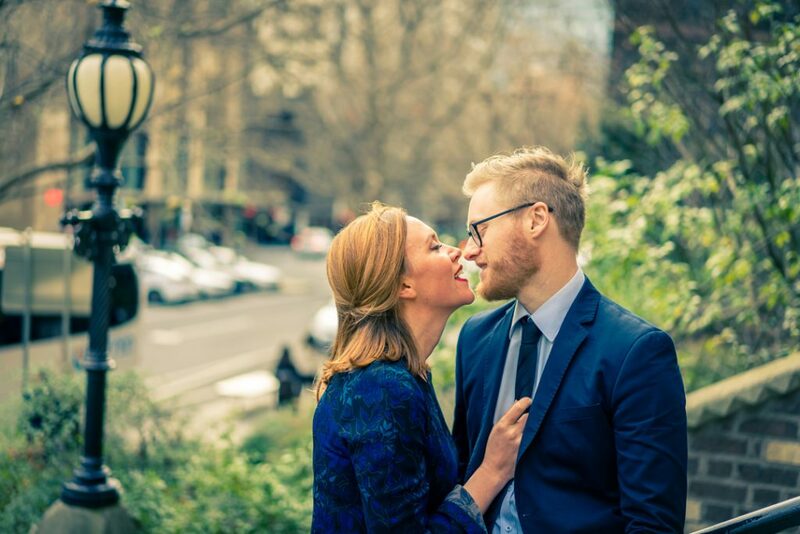 If you would like to find out more about our Engagement Photography sessions and our other services in Melbourne or Victoria area, please feel free to contact us by completing the below form, emailing us blackavenueproductions@gmail.com, or give us a call on +61 (0)488 077 990, we love to chat!